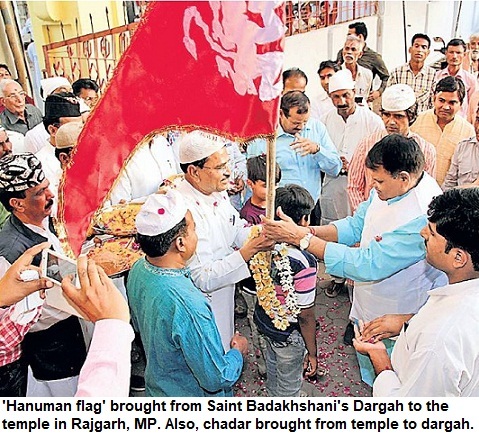 Hindu-Muslim communalism, religious politics over Temple-mosque: Can it ever go away in India? Will communalism ever go away or decline in India? For almost 32 years now, issues like Ram Temple have driven Indian politics. In the last couple of decades, TV channels have played a dangerous game and exploited these fault-lines, even more. And this doesn't seem to end. Now, there is Kashmir, AMU, Cow, Non-vegetarian food, Muslim customs and traditions in addition to existing debates on Yoga or Vande Mataram. There is so much cacophony and propaganda. Round the clock, TV fuels communal passions. This is done purposely. Still, sometimes you feel, may be the next generation will get fed up of communal politics or non-issues. But how? It is carried on. 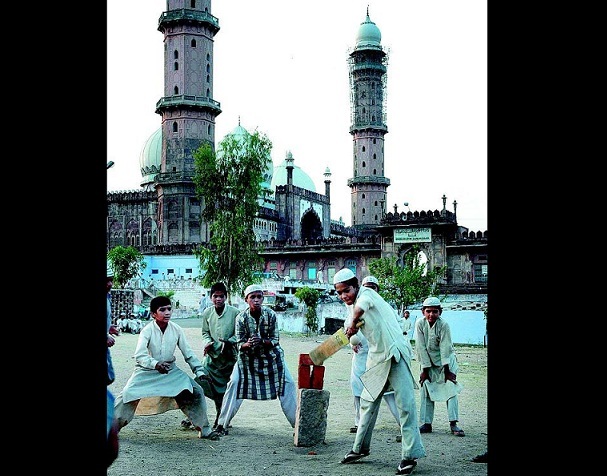 From mid-80s to early 90s, when I grew up and witnessed the tumultous era, in boyhood-teenage years, it was the same: the Hindu-Muslim thing. Next generation is also fed on the same thing, grows up, the same debates all over, again and again around us. Those who grew up in 1995-2005 or 2005-2015, for them these issues are new. Will forever sell, remain fresh in this country. For every coming generation, its the same. They learn, imbibe and for them it's new. So I may be tired of this after hearing it for decades, but for youngsters it's something new and it will take them years before they may get bored. So thirty years ago when there was no cable TV, boys had same biases. In each generation, we'd hear that the coming generation would have nothing to do with religion. Yet, even today, schoolboys, teens or from those on social media, you get exactly same biases. 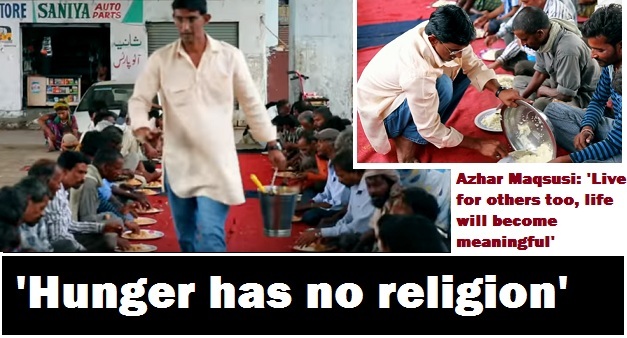 A man in Hyderabad is now known for running a free food campaign for the poor in the city. Azhar Maqsusi, is passionate about feeding the poor. Once he saw a disabled woman, Laxmi, crying and found that it was because of hunger, after her son had left her. This was the moment that he decided to offer food to poor. He was just four-years-old when his father had passed away. His mother raised him and he remembers that he suffered a lot--even remained hungry. But his mother told him to be patient and care for others. As he grew up, he started a shop. Now running a 'Plaster of Paris' shop, he began feeding the hungry. Hundreds of poor people near Dabirpura in Hyderabad, are offered food. After he started the work, his friends offered him. "A friend gives sacks of grains every month". When people learnt that he was doing this noble work, they began coming forward and offered voluntary support. Azhar says that there is still criticism but he doesn't bother. "When I began, I never thought I would get support. My wife would cook it at home. After a year, a US-based person was the first who came forward and supported us--donating rice bags every month". Azhar says that once you decide that you will do something good, there will be support and God's help. Nearly 10 crore people sleep empty stomach daily in India and many more suffer from malnutrition. Hence, people must come forward and feed hungry. Two days ago, I was with a friend. He kept blaming 'slum-dwellers' for everything that's bad in the country. When youths passed by riding bike, he said--'Look at them, all have bikes, they're lawless, see their shanties with (cheap) power though we pay hefty bills. The rant continued. I didn't argue or interrupt him, because it may have stopped him. I wanted to listen, more. He said about how the people with particular looks now reach high offices & sit at powerful posts. And that how the shanty-walas have it easy in life unlike 'us'. Apart from religion, caste and region, this 'Class' factor is yet another 'bias'. If my business fails, I WON'T blame govt, its policies or my luck. I WON'T accept that I failed, I will find certain enemy. That this particular bunch is responsible for my misery. That your own parents once lived in small house, had just fan & with great difficulty brought you to a level where your kids can't live without AC, you have made them luxury addict. You are consuming more and more. Difficult to maintain it, now envy and hate those climbing ladder. This sort of elitism, class consciousness and discrimination--where you consider people of similar social status as 'own', while you consider the poor as those who should always do the menial jobs. This is an altogether different phenomenon. Here, people may not be as casteist or communal or region-centric. Rather, they look down upon those who are poor. The 'have' Vs 'have-not' thing. Just think about it, you gobble up more and more, and want even more. But if the other gets a bit more, you are enraged, because you want him to remain exactly at his 'place' in the society. Why should we be so selfish? Perhaps, this is not adequately dealt with in text books. Once again, it shows that education doesn't mean that you get rid of your prejudices. Or it is the inherent selfishness within us, the human tendency to blame others! 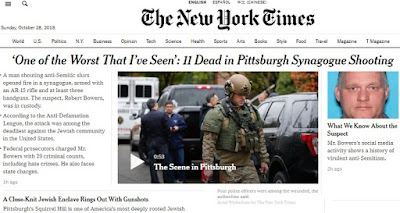 Robert Bowers who killed 11 Jews at the Pittsburgh synagogue, had 21 guns registered to his name. He felt Jews were 'children of satan', 'enemies of whites' & was against immigrants. Bowers used Gab, the social media network where hate speech allowed as free speech. This is not the first such incident. Whites are an overwhelming majority in America. But, time and again, White supremacists have resorted to shootings, killings in America. This shows how propaganda leads to persecution among majority & then this hate overcomes them so much that they live in the imaginary world. Bowers, 46, kept posting hate-filled messages on social media earlier. He would call immigrants, 'invaders', and forward racist memes. He was spreading conspiracy theories and also felt that Muslims were brought to US by Jews. "The shooting came a day after federal authorities arrested a man in Florida on charges of sending mail bombs to prominent Democrats. The man, Cesar Sayoc Jr., had also posted vitriolic and sometimes violent messages — both online and on stickers attached to the windows of his van. Political rage fueled Mr. Sayoc, who railed against liberals and immigrants and echoed the saber-rattling rhetoric of Mr. Trump’s rallies, according to people who knew him". 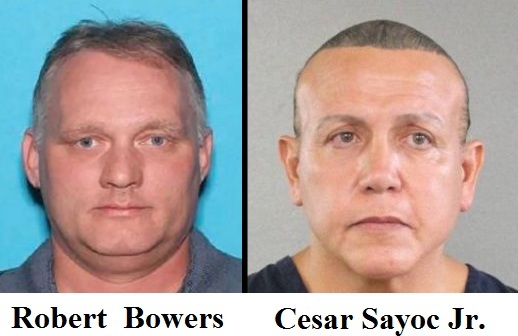 READ: Who is Robert Bowers, the suspect in Pittsburgh shooting? These are just a few of the innumerable incidents. From schools to prayer halls, the shooters have targeted kids, women and men. In fact, domestic white radical is the biggest threat in America today. This is a lesson for everybody--how spreading hate against minorities or immigrants can affect minds and damage societies. In India too, there is a constant media attack--hate campaign against Muslims, immigrants and 'outsiders'. This has resulted in right-wing extremism. 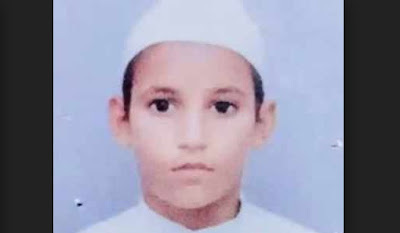 The murder of an eight-year-old boy, Azeem, who studied in a madarsa in Delhi, has again brought to fore the level of hate in the society. The boy was murdered in a row with boys of the adjoining locality but this happened after series of incidents--throwing of beer bottles in Madarsa, attempts to disrupt Namaz, locals trying to get Ravana effigy burnt on the premises, amongst others. The boys who attacked Azeem, caught him by his neck while others caught his hands. "On e of them threw him to ground. Others started to kcik and punch him. Some of them jumped on his chest and we all ran away looking for the Maulana", an eyewitness told Indian Express. The cleric said that crackers were thrown and the madarsa students were abused. 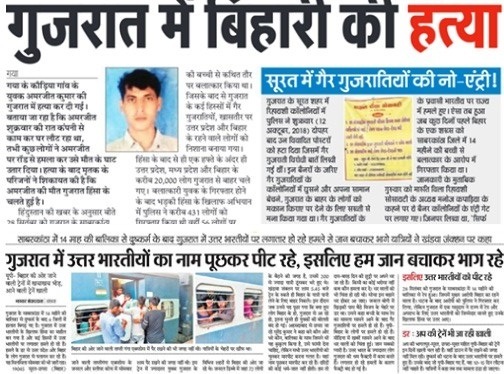 A woman, Saroj, had the temerity to threaten them even after killing the boy. Azeem's father works as a labourer in Mewat. He wanted his son to become a translator working for a hospital, as his Arabic was good and people from Middle East arrive for treatment in Delhi. Azeem's two brothers also work as labourers, Indian Express reports. The paper further mentions that 'Two men from the mosque insisted that he join them for a protest march. But Khalil Ahmad folded his hands and replied: A tree can not face a storm. I must bend or I will break. I want to leave with my son's body. I don't want to play politics over his death. TV channels have been attacking madarsas and demonizing them for long. This has resulted in changing social attitudes and hatred towards madarsas. 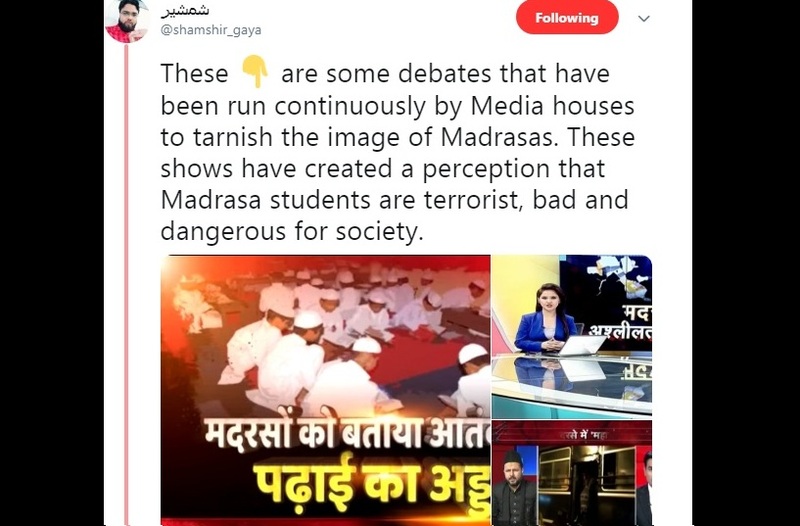 It is common for TV channels to term madarsas as regressive and even 'anti-national'. It is this direct hate, which has worsened the situation. Madarsa students face abuse, hatred and barbs in public spaces. It is clear now that Yogi Adityanath's government has been a complete failure in Uttar Pradesh. On all fronts, the performance has been poor and lacklustre--development, law and order, jobs, agriculture growth. Worst, the go-ahead to 'encounters' led to killings in the state and many innocents lost their lives. 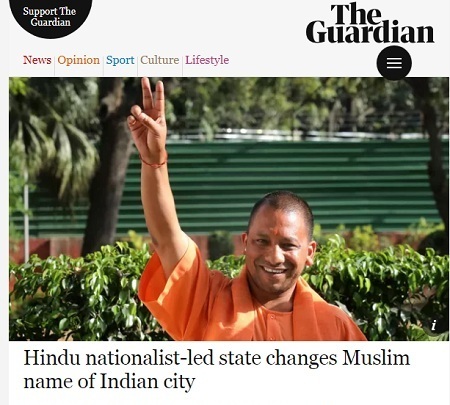 Apparently, to shift focus and divert attention from the poor governance, the State government decided to rename Allahabad. The cabinet okayed the proposal. Allahabad, an ancient city, known for hundreds of years, is suddenly getting a new name. Prayag was a hamlet that already existed and exists today, even has a separate railway station. But Yogi government went ahead with the decision. This is despite the fact that there are rules and historic names can't be changed. Lawyers have said that they would approach court. Locals have decided to take up the issue. For now, government has done it. Apparently, Allahabad sounded 'Muslim' and hence it had to be 'Hinduised'. Just like 'Mughalsarai', another place has been renamed. No wonder, there has been criticism from across country and all over the world. Media groups in foreign countries got another major headline, suggesting how erasing or distorting history is more in vogue in India than doing something meaningful. BJP is known for such moves in the past. Historians too criticised the move. They said that it was strange as there was no demand from the people who identified themselves as Allahabadi, for at least 400 years. They said that both Prayag and Allahabad have existed together and there is no reason to rename the city and use the word 'Prayagraj'. 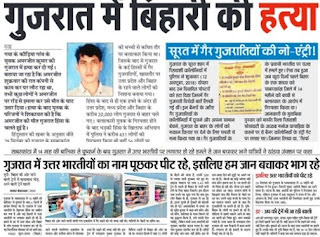 The 'Chunri Yatras' have become too common in Madhya Pradesh over the last few years. The devotees bring huge chunris, walking all the way to the temples, taking them to faraway shrines and offering them to the deity. This particular 'chunri' is 1,111 metres or 1.11 km long. People walk barefoot, even though road is hot. On way, flowers are sprinkled. At the shrine, first puja and then the ceremony. They walk barefoot for several kilometers. 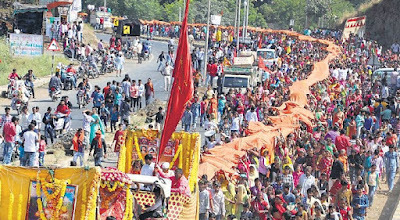 Tens of thousands of people participate in such events. These are increasingly becoming popular. Within a span of 5-6 years, these Yatras have become grand and are now common in Central India. Of course, politicians too love all religious events. It helps them build their base in the region and help in improving their image if they organise or fund or help in such events. We have seen images changing--those seen as useless fellows into a religious (good) leader. Traffic on the Jabalpur-Jaipur was affected for five hours as the Yatra was on. In a big expose, India Today has showed Sanatan Sanstha's radicals 'accepting' their role in planting Improvised Explosive Devices (IEDs). The Sanstha's alleged operatives were arrested in the past and its role in many cases of bomb blasts was investigated also. But this is one of the most shocking sting operations. It clearly shows that the Sanatan Sanstha cadre has been involved in nefarious activities, which are aimed at destablizing the country. India Today mentions that, "though its members were acquitted in the case of bomb blasts outside Maharashtra theatres in the year 2008, two Sadhaks of the Goa-based right-wing organisation have made the startling confessions about their involvement in the terror attacks". After the sting operation, Sanatan Sanstha countered the charges. Instead, on a website, its supporters put up photographs of journalists who were part of the team that conducted the sting operations. 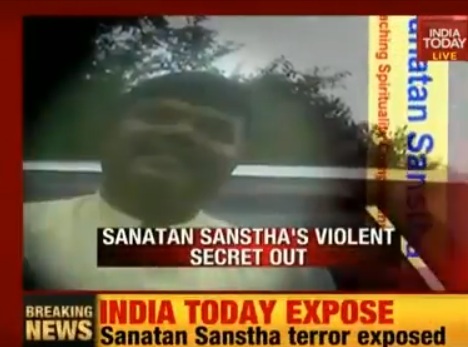 The exclusive report, 'Sanatan Sanstha workers reveal terror module on camera' was aired. Soon after, the Sanastha countered it. However, the channel claimed that it had clear evidence and that its journalists would not be intimidated. Surprisingly, even after the sting, security agencies remained mum over the entire sting. The reports in newspapers give an indication that how regionalism and parochialism are hurting the nation. If a person doesn't belong to your state, he becomes 'outsider'? Does being a Gujarati, makes you more proud than being an Indian! Sad it may seem but this happening in India. Reports suggest thousands left Gujarat after a girl was raped. As the perpetrator was from North India, there was anger against people from Uttar Pradesh and Bihar. The result was that there were attacks and North Indians began leaving the state in droves. But the question is that how long this divisive politics will continue? There are hundreds of crimes but you don't get upset. The anger is fuelled when there is one crime by an 'outsider'. Now this outsider can be someone from another state, belonging to another caste, adherent of some other faith or a person outside your social class. Religious, regional or linguistic feelings can be stoked and communal passions inflamed at the drop of hat in the country. Unfortunately, this helps certain politicians. The reason is that there is lack of development and politicians have failed to deliver. Hence, it is easy to divert attention to these factors. There is poor growth in Bihar and hence Bihar residents go out. Similarly, in Gujarat, the situation is bad and hence locals who want jobs, are upset with outsiders. So it's easy to blame 'outsider' or the 'other', everywhere. It suits politicians. The society also behaves like a mob. For a few years, you can survive on communalism, then regional hatred, which can be followed by linguistic movement or caste anger. That's how a generation will go. By the time, you realise that you have been cheated, you are too old. The next generation also gets cheated in the same manner. And that's how this game continues in the country. The sole way is stop the politics of hatred and divisiveness.